Dr. Bindi Desai was raised in the small town of Cleburne, Texas. Upon her graduation from Cleburne High School, she attended the University of Texas at Dallas, on a full academic scholarship. Excelling in University, Dr. Desai, received her undergraduate degree in Biology in 2006. 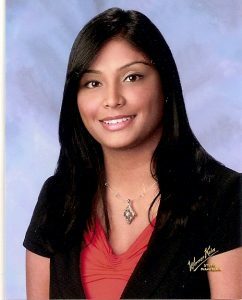 For her graduate education, Dr. Desai attended Nova Southeastern College of Optometry in Fort Lauderdale, Florida. Following her graduation in 2011, with honors, Dr. Desai completed a residency program at the University of Houston College of Optometry. While there, she specialized in eye coordination (binocular vision), patients with acquired brain injuries, and pediatrics. Dr. Desai is a Texas board certified therapeutic optometrist, and a member of the American Optometric Association and Beta Sigma Kappa (an International Optometric Honor Society). Growing up in the close-knit town of Cleburne, Dr. Desai learned the importance of community, honesty, and family values at an early age. Her parents successfully owned and operated one of the first motels in the area. Their work ethic and customer service is something that Dr. Desai also embodies and carries forward to her patients.